During the talks with Amit Shah, it was learned that the Rammohan Naidu and the Kutumbarao were taken to the attention of 19 things that Andhra Pradesh wanted from the central government. 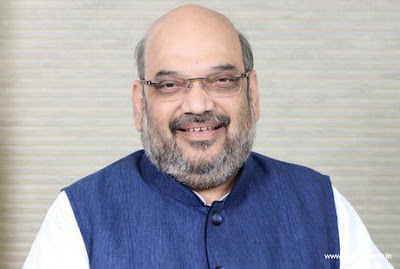 According to the divisional law, the 19 items were to be pending and the Center was asked to take immediate steps to take action on them.When Venkiah Naidu, on the other hand, asked Clarity on every aspect, Amit Shah was impatient ... Amit Shah said, many of the state already mentioned specifically, we are not ready, leave him, news reports said, Naidu. And if other states also ask for help, they can not take any decision ... they have done it ... they have already told us that there is nothing to do. The TDP MPs say that the BJP does not know what to do with our state. All the things in this discussion, Amit Shah's response, Chief Minister Chandrababu said ... If the Venkayya Meeting concluded, we thought it was a solution Amit Shah did not even calculate his words Over the attempt fails, the Parliament would take a decision on. TDP leaders at a meeting of the 19 items about amitsato insisted. 1. Special 2. Revenue Liability Replacement 3. Polavaram Project 4. Railway Zone Establishment 5. Petrochemical Complex Establishment 6. More Funding for Amravati 7. Allocation of Funds to Accelerate National Institutes Structure 8. Establishment of Durable Water Port 9. Drainage Act Correcting Tax Errors 10. Immediate Decision on Steel Planning in Kadapa 11. Vizag-Chennai Expenditure corridor 12. Visakhapatnam, Vijayawada Metro 13. From the rest of the state, Amravati is the fastest rail and road network. 14. Bundelkhand and Kebeeka package for backward districts 15. Payment of electricity to discharges 16. Schedule 9 and 10 Division of divisions are important. There are political decisions on some of these.